Thanks to Cupcakefaerie, I’m learning how to spin yarn. The process is quite fascinating if you’ve ever worked with yarn or thread of any kind. Getting the fibers to twist and “lock” so it grows to a long, strong length. Once you’ve spun a bunch, you can make 2-ply from your single piece. But I keep forgetting how to wrap your hand to make the “bracelet” to ply from. 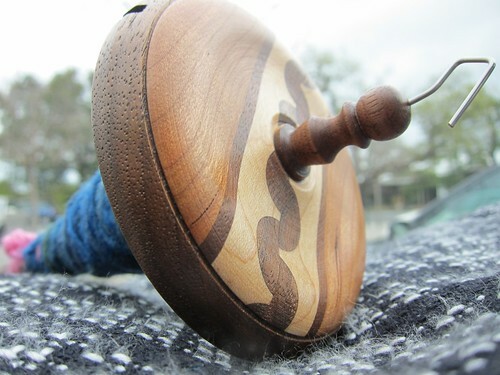 Plying Yarn on a Drop Spindle – Andean Plying Tutorial I like how she uses a thick length so you can view it easily. 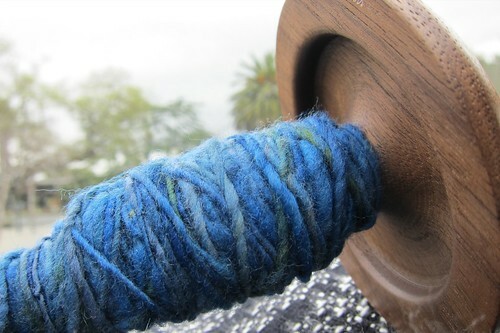 Rosemaryknits explains how to use a paperback book as a plying tool.